Please visit us at 1/302 Logan Rd, Greenslopes. A wealth of experience across all types of residential property in Brisbane’s inner south has given Patti a position in the market where she can provide her clients with a proper insight and advice into their property dealings. A business owner and real estate agent for the better part of two decades, Patti has sold properties in some of the areas most noted streets and precincts. “It’s a great area to be part of, over the years I have seen the positive impact of the rejuvenation of certain areas and how the housing styles have changed.” Whether it’s an architecturally designed home or an established apartment Patti has the experience to deliver a professional outcome. Renowned for her personable nature and strong work ethic, Patti has built a large clientele over the years with a number of repeat and referral clients. 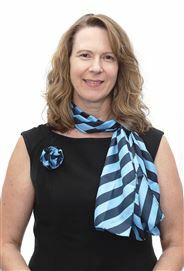 Patti Steele is a proud member of the team at Harcourts Homeside, regarded as one of the highest performing offices in the network, the dedication of the team has seen them awarded with premium awards within Queensland and Australia. Part of its commitment to the local area, Harcourts Homeside contributes local charities, schools and sporting clubs. David Gowdie Licensed Real Estate Agent Prior to entering the real estate business David was a successful senior sales and marketing executive with Carlton and United Breweries and Fosters International spanning a period of 15 years. David’s professional experience includes two years as a lead agent with Place Estate Agents, and three years as the business principal and owner of Harcourts Graceville. David recently moved to Harcourts Homeside to enable him to focus on his true passion for sales and helping his clients secure the best possible price for their homes. He successfully employs a unique ‘Total Service’ model – a model he arrived at after observing how the best real estate deals are made – the results of which speak for themselves. David's professional qualifications include: •	a Masters of Business Administration from Queensland University of Technology •	a Bachelor of Business from The University of Queensland •	and he is a fully licensed real estate agent with the Real Estate Institute of Queensland. David lives locally with his partner Shanshan. He has three beautiful girls – Sophia 12, Charlotte 8, and Amelia 4 – and is expecting his first son in late November. “I believe that long-term reputation and a relentless work ethic is everything, so will work longer and harder than any other sales person in this area to become my home sellers preferred agent of choice”. Samantha Peterffy’s career in real estate first began in 2006 in Western Australia. In her first year in sales, she sold 50 properties, a feat rarely accomplished even by established agents which nominated her at the Australasian Real Estate Awards in the category of Beginner to Winner. She specialised in established houses and vacant blocks of land around the Bunbury and surrounding region. Within 13 months she has attained both Gold Level and Platinum level sales status, putting her in the top 2% of real estate agents nationally. In August 2015, Sam founded Johnson Real Estate Woolloongabba and within a one year period became the lead selling sales agent in the suburb with a 20% marketshare, a position she still holds today, selling 3 times more houses than any of her competitors. In 2017 she was nominated for her company’s converted sales person of the year award out of the 10 affiliated offices. She grew up in a family where her mother had a business in Interior Design and Homewares, so has a solid understanding of hard work, property aesthetics and the client first. Sam also has a degree in Commerce & Marketing which compliments coming to the national franchise brand, Harcourts. She is looking forward to offering her clients wider options in both method and marketing as well as global award winning technology, to offer her clients the full suite of options required to achieve the premium price in today’s marketplace. Sam financially supports the Gabba Hill Community Garden, so proceeds from all local sales are donated to the local community organisation. She is said by her clients to be “straight forward, hardworking, professional and regularly going above and beyond” to get her sellers happily moved and on their way. Owner says sell this week!